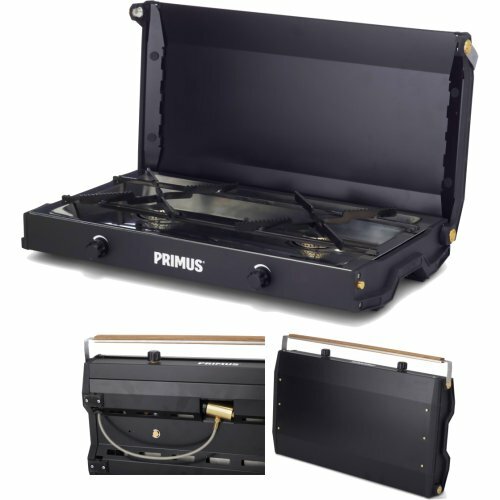 Light, compact and designed to be carried along, the Kinjia two burner stove provides a real cooking experience for the outdoor chef. Easy and sage to transport with lock and handle, rugged and durable steel construction with removable stainless steel drip tray for easy cleaning. Two independent burner controls with exact simmer control, hose with integrated regulator. Runs on lightweight backpacking gas canisters (100g, 230g and 450g). Gas not included.